It was several months ago and I had just met the most amazing woman that I had ever laid my eyes on. I wanted to take her out and impress her, but I had also been working really hard toward a fitness goal and only had a week left to achieve it. 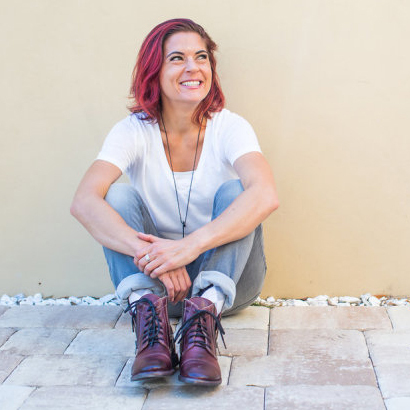 As many of you may know going out to eat when you have a dietary preference or a fitness goal is not an easy task, and this certain night was proving to be very difficult. After wasting way too much time trying to find a restaurant that I could actually eat at we ended up at a dessert place in Boston...we ordered green tea and a fruit plate. That night got me thinking...this is legitimate issue for lots of people. Not just people trying to reach health and fitness goals, but for someone with any dietary restriction or preference. I decided right then and there that I was going to come up with a solution to fix this issue, and that is when I thought of The Custom Eats App. What is Custom Eats all about? I practice clean eating. As someone who eats clean on a regular basis I know how to customize a meal to make it fit my clean eating preference when I am out to eat at a restaurant. I know which ingredients to hold, substitute, or even what to add to fit my preferences. 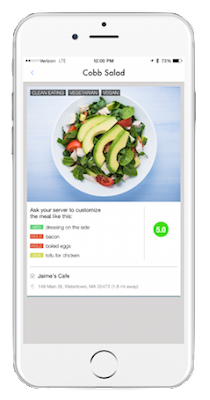 The way this app works is that a user would go into a restaurant and customize a meal to fit their dietary preference, then upload this customization to the app with a picture, directions, and a rating. 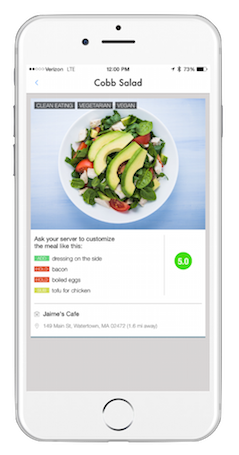 Another user can search meals that have been customized within an area so that they can choose a restaurant that has options for them. 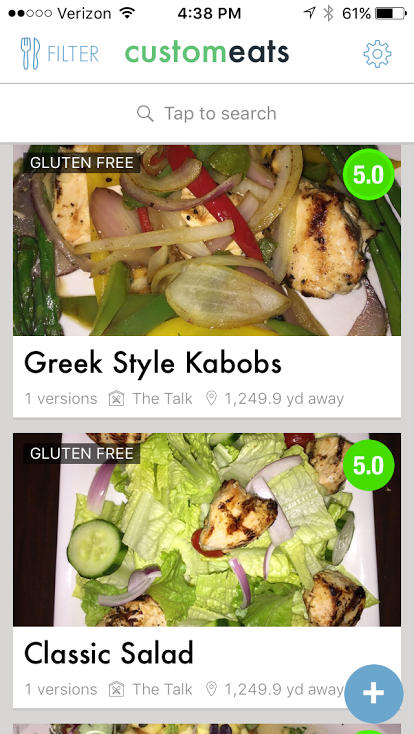 They can filter results by searching within a distance and a dietary preference. 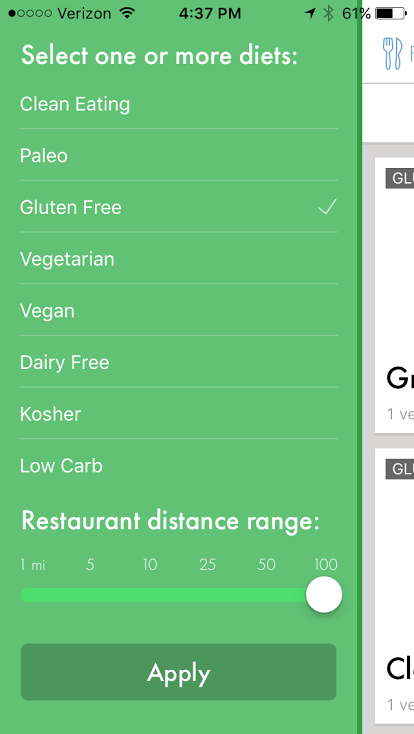 For example, a gluten free user and search all the gluten free meals that have been added within 10 miles of where they are. They will then see a photo, how the meal was customized, how it tasted, what restaurant this meal is at, and how to get there. 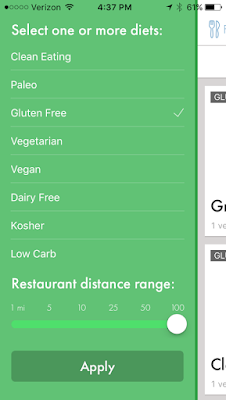 This will make it much easier for people with dietary restrictions to actually see what they can eat at restaurants. Not only will it help with the amount of options one has to go out to eat, but it will help people who may feel a little timid or unsure about asking servers how to customize meals feel more confident. 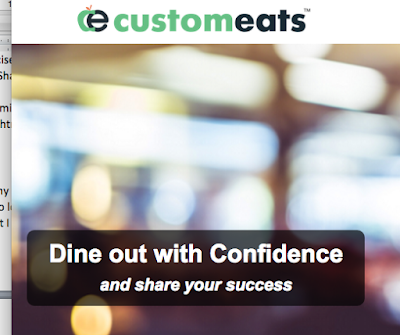 Want to be a part of the Custom Eats Beta Test group? Click here and help up to revolutionize the way we eat out!